Features a compact and rugged design, wired and wireless connectivity, front and rear-facing cameras, and a 7″ touch display. As part of ELD Chrome, the Cab-Mate Connect is the fastest and easiest way for transportation companies to become FMCSA compliant. Easily installed, Cab-Mate Connect is configured for ELD-use only, making it a more affordable option suitable for any size carrier needing to become compliant in accordance with the FMCSA mandate effective December 2017. 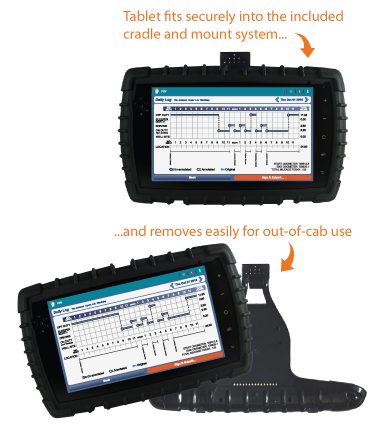 The ruggedized tablet itself removes easily from the included mount and cradle system for out-of-cab use, making it fully compliant with ELD regulations. Best of all, this ELD solution comes from a company with over 7 years of experience providing quality HOS solutions to the transportation industry. 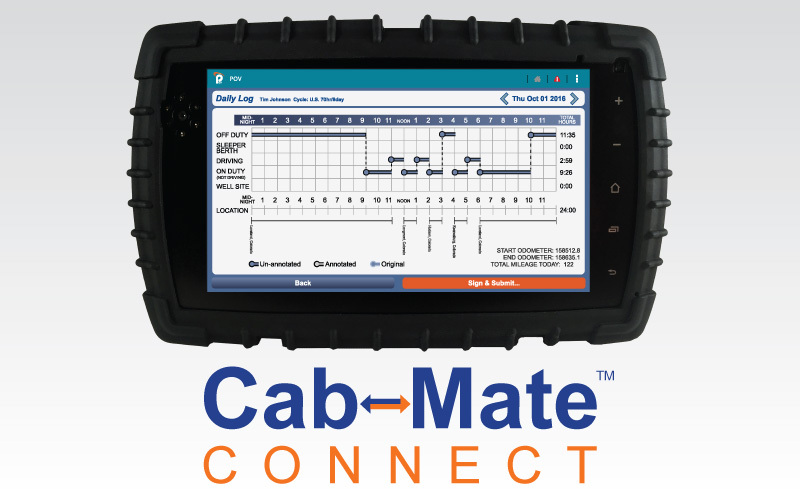 The Cab-Mate Connect makes ELD Compliance as easy as possible so fleet managers can stay focused on keeping their fleets safe, efficient, and profitable. can help you work smarter?